The tenth Easy Rawlins thriller puts him on the streets of LA to solve a case that threatens the lives of his closest friends. Easy Rawlins comes home from work and finds more trouble on his doorstep in a day than most men encounter in a lifetime. A friend has left his daughter at Easys house without so much as a note. Clearly this friend, Christmas Black, a veteran of Vietnam, fears for his life and his daughter's. Easy's closest friend, the man known as Mouse, has disappeared tooand his wife tells Easy that he is wanted for murder. Mouse has been a thorn in the polices side for so long that Easy is convinced that this time they will kill him as soon as they find him. Worst of all, Easy's longtime lover tells him that she plans to marry another man. In a world of hurt, Easy strikes out on his own to try to find one friend, save another, and save himself from the pain that is driving him out of his mind. On his path he meets drug dealers, corrupt officials, every manner of criminal and conand a woman named Faith who may hold the key to more than one life. It's hard to get lost when you're coming home from work. When you have a job, and a paycheck, the road is set right out in front of you: a paved highway with no exits except yours. There's the parking lot, the grocery store, the kids' school, the cleaner's, the gas station, and then your front door. But I hadn't had a regular job in a year and here it was two in the afternoon and I was pulling into my driveway wondering what I was doing there. I cut off the engine and then shuddered, trying to fit inside the sudden stillness. All morning I had been thinking about Bonnie and what I'd lost when I sent her away. She'd saved my adopted daughter's life, and I had repaid her by making her leave our home. In order to get little Feather into a Swiss clinic, Bonnie had reacquainted herself with Joguye Cham, a West African prince she had met in her work as a flight attendant for Air France. He made a temporary home for Feather, and Bonnie stayed there with her  and him. The many fans of Ezekiel "Easy" Rawlins are sure to be satisfied with this tenth novel in the series. For readers who may not be familiar with earlier books by this prolific and awarded writer, be assured that Blonde Faith can also be enjoyed as a standalone mystery. It's true that at times, because of Easy's wide social ties and past successful cases, a new reader can feel like the only guest at a party who doesn’t already know everybody else. However, the narrator resolves this potential pitfall by repeatedly providing history, back stories, and context whenever Easy's old friends, enemies, and acquaintances appear. (Reviewed by Kathy Pierson). [D]oes Easy's despair come from a broken heart alone? Mosley has always linked his hero's fate with that of Los Angeles and painted a broader picture of race in America, so you have to wonder what's changed in this city in 20 years that has made Easy's surroundings so inimical to him. Clues are everywhere. Walking into a bank on Lincoln Boulevard in Santa Monica, Easy ponders the change: "In 1964, I would have been an anomaly walking in there, obviously far from home. . . . But in 1967, two years after the Watts riots, I was no longer a mere abnormality but a threat." 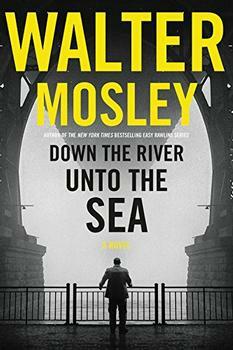 [I]f this is the last we hear from him - and by the final page, it certainly seems that way, as Mosley largely shuns any maddening David Chase-style ambiguity - then this captivating author has delivered a refined, bittersweet coda to his always-engrossing series. Blonde Faith is one of those "Don't you dare interrupt me" novels. It’s colorful, fast-paced, and the detective work is reminiscent of TV's "CSI," "Without a Trace" and "Cold Case." Familiar territory for both Mosley (Killing Johnny Fry, 2007, etc.) and Easy, who sounds a lot more ancient than his 47 years. Amidst the frequent historical vignettes and righteous asides, we want Easy to scramble free and act. When he finally does, the conflagration feels almost pro forma....there are indications that suggest Mosely may be thinking about wrapping it up. More than one man's journey, Mosley's Easy Rawlins series is a chronicle of the shifting landscape of race relations from the 1940s to the 1960s and is destined to become part of the American-and not just African American-conscience. Starred Review. Mosley knows his territory as intimately as a lover knows his beloved, and Easy's tortuous progression from man-child to man may have reached its climax in this searing and moving novel. Say it ain't so, Walter! Whew!!! The choice of wording was more descriptive, more emotional, more final............etc. I was afraid to finish reading the book. I did and now I'm at a loss. A very good but troubling read. I enjoyed this book although I found Easy overly melancholy. I just hope he's not dead ! 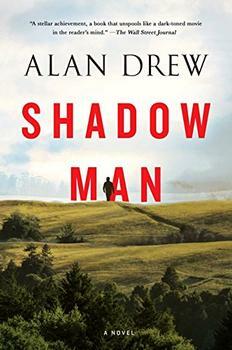 What Dennis Lehane does for Boston, Alan Drew does for Southern California in this novel of psychological suspense about an idyllic community rocked by a serial killer - and a dark secret.